Monday, November 26, 2018 9:00-11:00 a.m.
Janice M. “Jan” Mank, nee Christ, age 68, of Damiansville, died Friday, November 23, 2018 at her home. She was born September 22, 1950 in Belleville, a daughter of the late Lorraine and Mary Anne, nee Kettler, Christ. In addition to her parents, she was preceded in death by three children in infancy, Joyce Marie Mank, Kenneth Martin Mank, Jr., and Rae Martin Mank; father-in-law and mother-in-law, Martin and Marianna, nee Stoll, Mank; and a brother-in-law, Joseph Fellner. Surviving are her husband Kenneth Mank of Damiansville, whom she married April 4, 1970 at St. Peter’s Cathedral in Belleville; a daughter, Kristy (Brad) Richter of Damiansville; grandchildren, Miranda and Marcus Richter; siblings, Martha Fellner of Belleville, LaVerne (Mary Jane) Christ of Belleville, and Larry (Sue Ellen) Christ of Burlington, IA; sisters-in-law, Mary Ellen Blaes and JoAnn Schrader both of Belleville; and nieces and nephews. Jan graduated from Belleville East High School in 1968 and formerly worked as a IT Analyst at St. Elizabeth’s Hospital in Belleville and retired in 2012 from HSHS St. Joseph’s Hospital in Breese. She was a member of St. Damian Catholic Church and Ladies Sodality in Damiansville where she served as a eucharistic minister and choir member and was also past president and past trustee of the parish council. 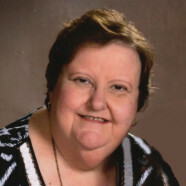 Jan enjoyed quilting, adult coloring books, but most of all spending time with her family, especially her grandchildren. Funeral Mass of Christian Burial will be Monday, November 26, 2018 at 11:00 a.m. at St. Damian Catholic Church in Damiansville with Fr. Nicholas Junker and Deacon Glenn Netemeyer presiding. Interment will follow in St. Damian Cemetery, Damiansville. Visitation will be Monday, November 26, 2018 from 9:00-11:00 a.m. at St. Damian Catholic Church in Damiansville. In lieu of flowers, plants and other gifts, memorials may be made to Family Hospice or Helping Hands and will be received at the church or through Moss Funeral Home, 535 N. 5th, Breese, IL who is serving the Mank family.